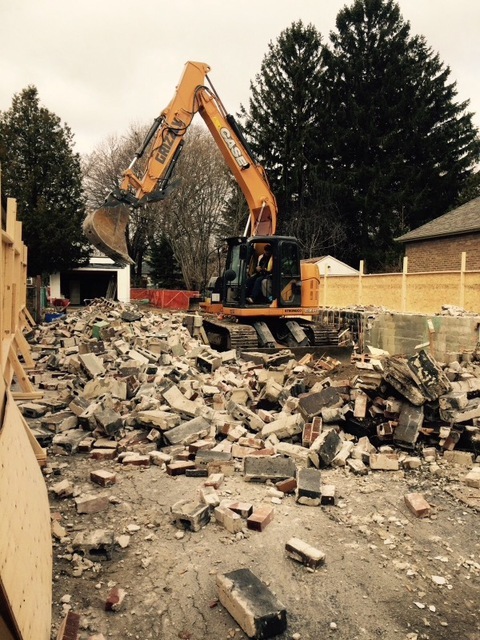 Demolition of old existing house and excavation services for the new residential build. This was the 2nd project that Grizzly did for us here in Oakville over the past year. Thank you very much for the kind words Blair. I can definitely same the same for you. Highly profession father son team, they will go out of their way to ensure customer satisfaction. Very accommodative, enduring highest work and ethical standards. Conduct excavation through use of state of art technology to ensure proper depth of excavation, eliminating expensive errors. Very competitive and realistic pricing. Thank you Nasir for the kind words and for taking the time to write this review. It is always a pleasure working with you as well. 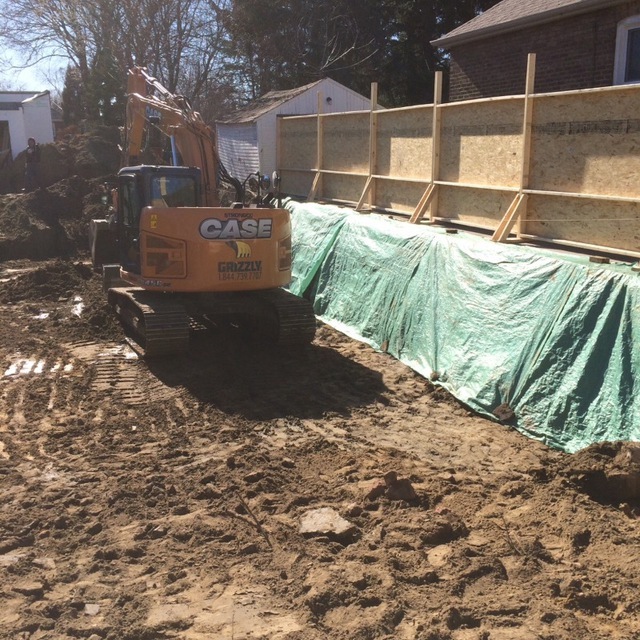 Kruno and George did an excellent job with the demo and excavation for the new home. Clean, quick, and organized throughout the project. They went above and beyond the initial contract and their service was above the standard. Thanks boys! See you on the next one! Thank you for the kind words Justin. it was a pleasure working with as well. 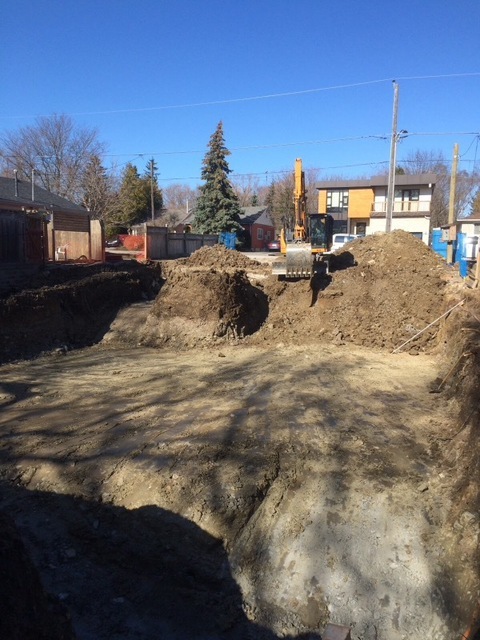 Grizzly demolished and disposed of our bungalow and did the excavation for our new home in a tight lot space. 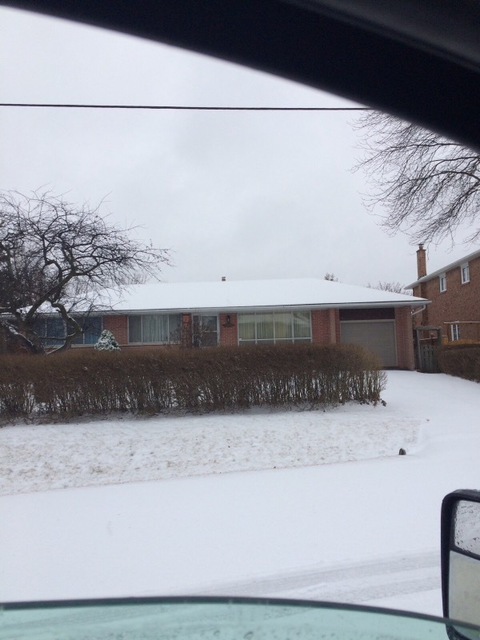 They were always available to answer questions and made helpful suggestions to problems that came up.Kruno and George were always ready to help and went beyond their contract. The geotechnical engineer praised their work. Thank you for a job well done. Thank you Michael for taking the time to post this thoughtfull review. It was our pleasure working with you as well! All the best of luck with the rest of your project! 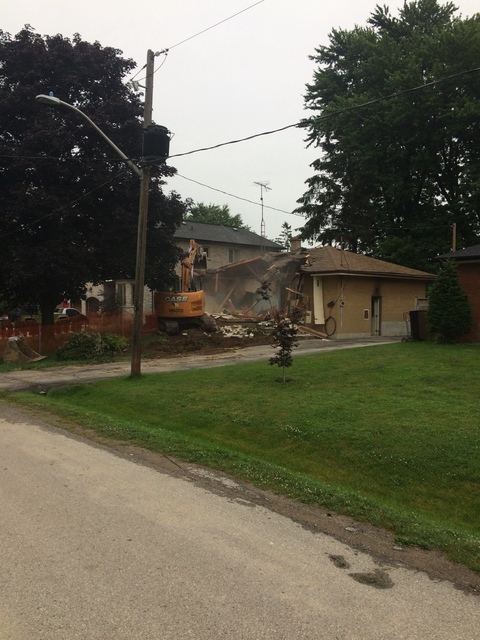 Amazing job excavating our basement and demolishing the existing home. They did many extras at no additional charge and were very competitive on pricing. Trust is a big deal to us and they absolutely won our trust with the high quality of work. It was a pleasure working with you. Thank you very much for taking the time to write a review. George did an amazing job demolishing and excavating the basement for our new home. He went above and beyond, working over the weekend to get things done despite bad weather. We appreciate his diligence and his great work. Thanks George! Thank you Teresa! It was a pleasure working with you and your family as well. Nothing but great things to say about Grizzly Excavation. From the initial meeting to the end of the excavation Grizzly was on its game. They were on time, honest and delivered what was promised. I felt comfortable dealing with Kruno and have nothing but good things to say. Thank you Chris for the kind words, we are glad that you are happy with the service and the outcome of the project. 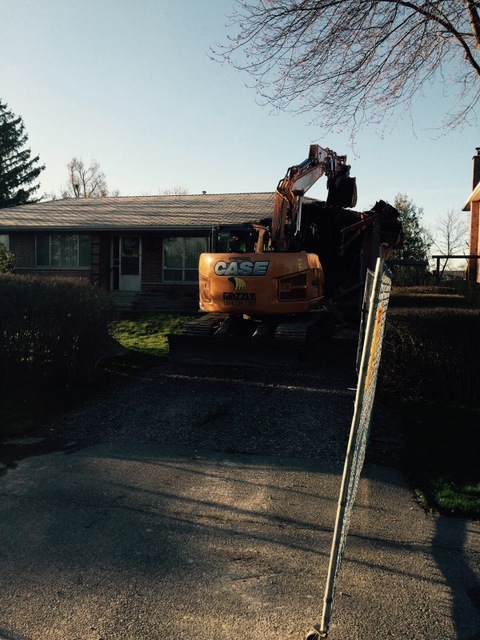 Thank you George for the great job you and your crew have done for us here in Caledon. You and your crew were on time, clean and fast. I will definitely be using you guys for my next project. Thank you Peter. It was a pleasure working with you as well. 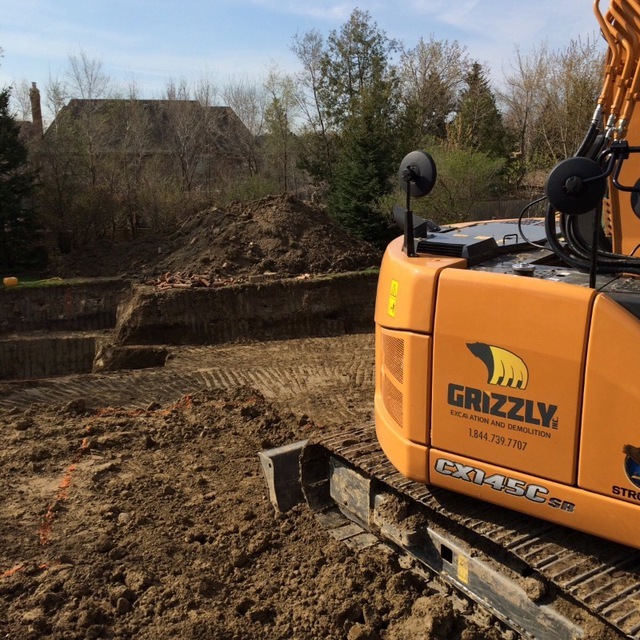 I recently had the privilege to work with Grizzly demolition and excavation on our new home build this past summer. 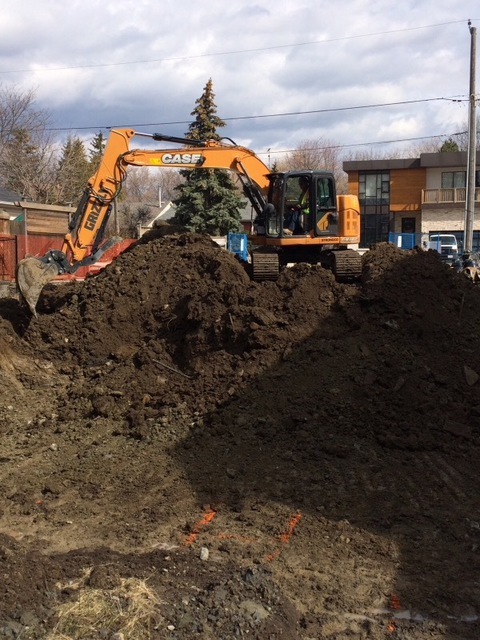 They were highly recommended by an acquaintance of mine, who has extensive experience in the construction industry, so it became relatively easy to make the decision to pick them for the required demolition and excavation services. Our experience with the team from the start to finish was exceptional. We are delighted that we had ability to use Grizzly and their crew on our project. I would definitely recommend them and hopefully get another opportunity to work with them again. Thank you Romano for taking the time to write these kind words and we appreciate your business. 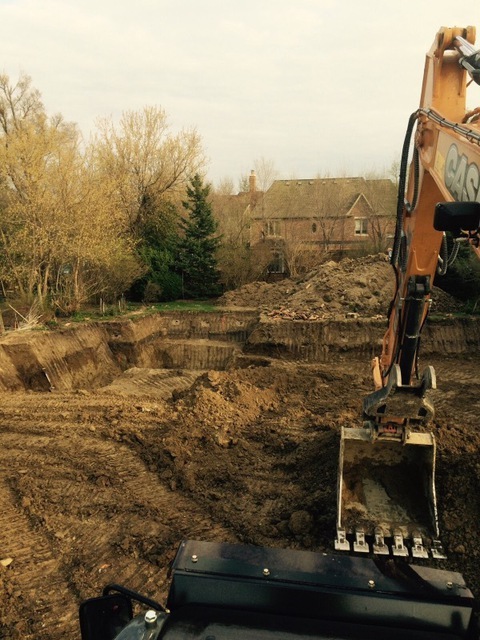 Grizzly Inc. is an Excavation and Demolition business servicing the Greater Toronto Area. 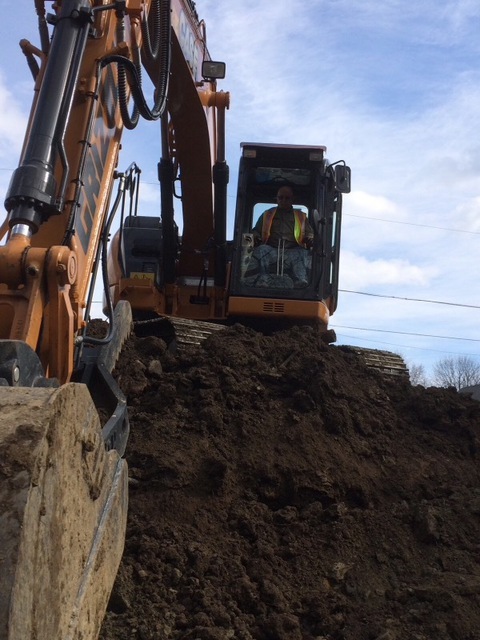 We are a family owned and operated business with over 40 years of Excavating and Demolition experience along with much more. We work with a clear vision to deliver superior, professional and in-time services for each of our quality and value conscious customers. Grizzly Inc. completes every project with a professional approach to earn you a complete peace of mind. The quality of our work speaks volumes for itself and the integrity of our services makes you a customer for life. We pride ourselves on our outstanding perfect safety record and our ability to exceed customers expectations . Our work speaks for itself along side our honesty and integrity.